Chevrolet Corvair car books includes the history and restoration guides for the Corvair. The Chevrolet Corvair was an automobile produced by the Chevrolet division of General Motors from 1959 to 1969. Corvair: A History And Restoration Guide by William Artzberger (1984) details the history of the Corvair's development and production, including a guide to the identification, evaluation and selection through complete restoration. 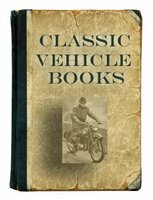 Contains production figures for each year and model, series identification, engine series number, rear axle identification, colour trim and paint charts, complete restoration schematics, hub caps, suppliers, etc. Chevrolet Corvair 1959-1969 by R M Clarke (1991) consists of reprints of articles from automotive magazines from the 60's. Immersed in these articles is a wealth of technical information. Corvair Affair by Mike Knepper (1982). Perhaps the only complete history of this dramatic automobile, 'Corvair Affair' first explores the staggering amount of research that went into the car's creation. WIth Ed Cole in the background, all this development resulted in a sensational automobile; on opening day the public poured into Chevrolet showrooms. 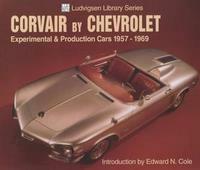 Corvair by Chevrolet: Experimental & Production Cars 1957-1969 by Karl Ludvigsen (2002). One of the most controversial cars ever made, Chevrolet's Corvair is celebrated in this unique pictorial history. From his files on the Corvair - which he first road-tested in 1959 - Karl Ludvigsen presents a plethora of photos of the original 'Holden' prototypes on test and even a Corvair engine installed in a Porsche, its first running test bed. 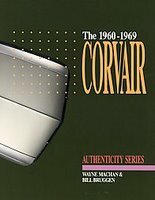 The Corvair 1960-1969: A Restorer's Guide To Authenticity by Wayne Machan (1991). A painstakingly detailed analysis of the year-to-year changes in body, chassis, trim and interior components. Hundreds of photos make this the perfect guide for identification, restoration and determining authenticity. 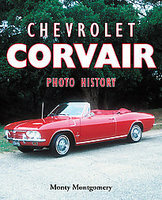 Chevrolet Corvair Photo History by Monty Montgomery (2004) covers all of the cars produced, as well as the rise and fall of the Corvair. Included are production figures for each model for all years the Corvair was produced in America and Canada. Compleat History Of Corvair For The Compleat Corvair Nut by John Wipff (1978). Two volume set. Classic Corvair articles including an interview with the designer that was conducted by the author.